Tailored solutions to suit individual needs. Our specialists will demonstrate our wide range of products in store, helping keep you independent. We handle all maintenance and repairs, to keep you safe and active. Vital Living is your principal supplier of high quality mobility, disability, rehabilitation and independent living products Australia wide. We have showrooms in Port Macquarie, Forster and Taree, and have grown to become a leading online retailer in mobility and independent living needs, delivering unparalleled service and support to customers, aged and disability carers, therapists and the wider community. With a comprehensive range of specialised products and equipment our experts take a personalised approach, providing support and solutions to suit the individual needs of the end user and, as importantly, to carers and families as well. Learn more about our support and services by browsing through our website, and feel free to call our friendly team for more information. The Interactive Companion Pup looks and sounds like a real puppy dog! The Interactive Companion Cat looks, feels and sounds like a real cat! 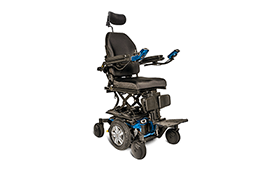 Handy products and helpful tips from the experts in mobility and independent living. There are a range of easy to use products that can help, but it’s important to choose the right one!